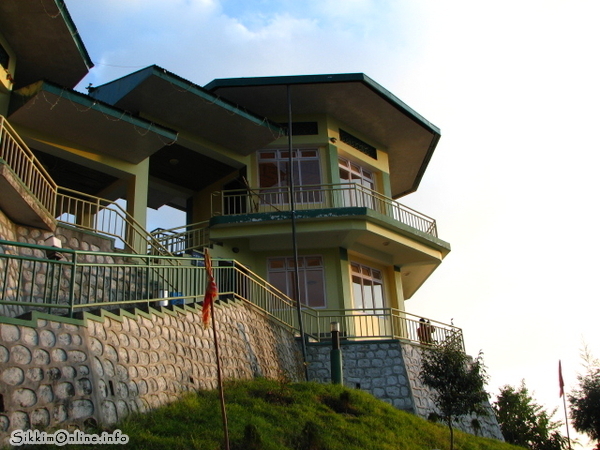 Ganesh Tok is Hindu deity temple is located uphill, about 5 kilometers from Gangtok. This small temple is devoted to lord Ganesha. From here a fine view of Gangtok town can be seen. Many popular pictures of Gangtok are taken from here. The picture on the right is view of old Ganesh Tok. The newly renovated temple is much larger and has 2 view points on the building. The idea is to provide superb view of the town. On a clear day, with no haze, especially the morning time can be perfect time to shoot photographs of the town and enjoy the view. Or if you are religious or spiritual person, this place could be perfect place to worship Ganesha or meditate in this peaceful temple.